A Night-time visitor is captured on film! If you’ve ever followed our nature trail, within our wildlife area, then you will have noticed that Post Number 5, marks a badger path. Badgers are creatures of habit and follow set paths. A regular visitor to Martineau Gardens, our badger ‘tends’ the path itself, shoots and brambles are nibbled away the path is kept clear so that the badger always enters the garden along the same route. It digs up insects, earthworms and other grubs – when we arrive in the Gardens the next morning, we can often see scuffle marks in the leaves, particularly at this time of year. 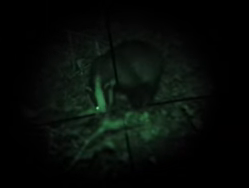 Being a nocturnal animal, we’ve never seen the badger that is, until last week. One of our wildlife supporters was taking an evening stroll, whilst managing the rat population, and managed to catch the badger on UV film. Click below to watch the film. Martineau Gardens manages the wildlife area for its biodiversity – part of our wooded area is a SLINC.